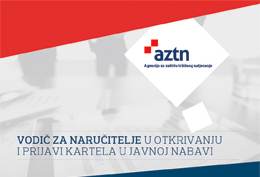 Within the ongoing administrative procedure under the Act on the prohibition of unfair trading practices in the business-to-business food supply chain the Croatian Competition Agency (CCA) will investigate all the elements relating to the nature and the content of the business deals between Jasenska from Opuzen and its suppliers. The CCA notes here that the mere opening of an infringement procedure against a trader, buyer or processor does not mean that the practices at issue constitute unfair trading practices. The CCA decides on the merit on a case-by-case basis, considering all the relevant facts of the case and concrete evidence that substantiate the indications on the basis of which the procedure has been opened in the first place. In line with its confidentiality obligation, the CCA cannot give comments or provide any information about an ongoing case. Its final decision will be published in its entirety on this website.